It’s new, It’s magical and It’s classic. 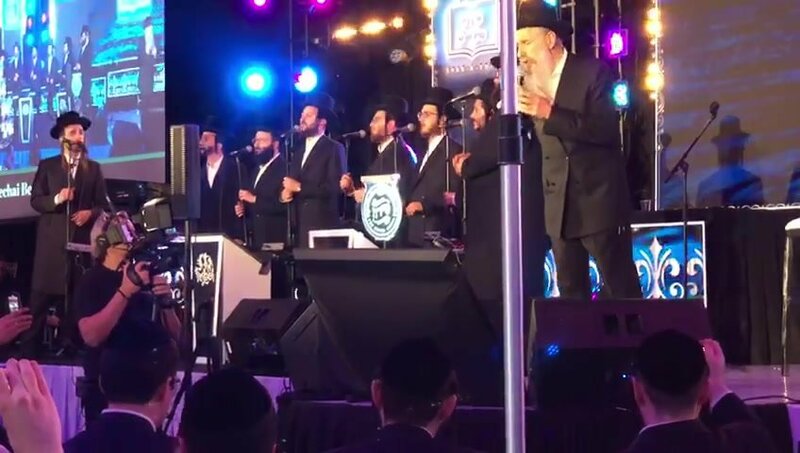 Renowned wedding singer and performer Chaim Blumenfeld introduces a first of its kind in the Jewish Music & Wedding scene, a truly spectacular Kabulas Punim and Chupah set that took place at a recent wedding at The Palace in Brooklyn. Video highlights include: A beautiful and inspiring Kabulas Punim Badchunis/Gramen and an emotional & touching Chuppah performance featuring a mix of famous, soul-stirring songs and melodies accompanied by with the breathtaking instrumentals of violinist Yitzchok Isaac Kessler and keyboardist Efroyim Berkowitz. Make sure to stay up-to-date by following Chaim on Social Media!